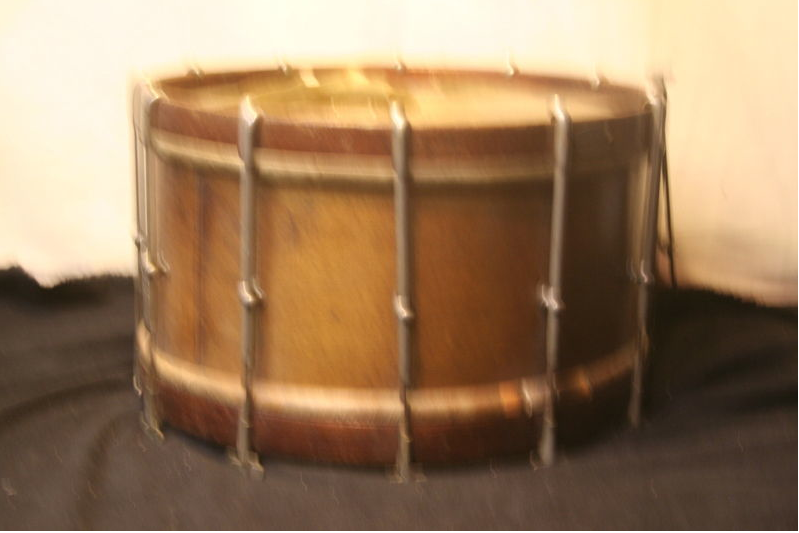 Unconfirmed information from George Kubicek (who calls this a "Larchmont Drum") to the effect that this drum now is located in California, and was made by Ed "Pop" Classey of Mt. Vernon, New York. 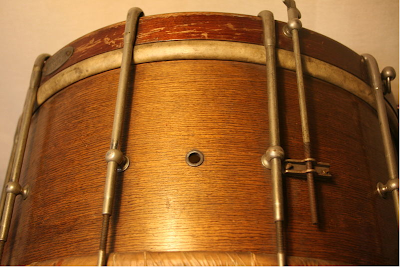 A reader (sm56) wrote: "It is my understanding that Moeller was making drums before they collaborated, and that collaboration did not last very long. Patsy Ellis at Cooperman has some great background on this." "I've never heard of the 'Continental Drum Company - Larchmont NY,' and I've never heard that Moeller ever made drums under another label, or in Larchmont NY. "Moeller passed away in 1960, and as far as I ever heard based on family stories and stories from Dave Boddie, Moeller was in Mt Vernon until he went to the home/hospital near the end of his life. "My mom is now nearly 83, so Moeller had been in Mt Vernon a long time (the 596 drums are 1930's). "My mom remembers walking by his workshop on her way to school when she was young (her dad was in 596 corps with Moeller, so she was familiar with the drum shop). "Whenever I see something that looks Moeller-like from the vicinity of Mt Vernon (Larchmont is very close by) I always tend to think of a Classey family connection, but that's just a personal reaction, no basis in fact; it's just that we know Pop Classey worked with Moeller on the 596 drums (my dad [Pat Cooperman] learned to drum from Pop Classey). "[Pop Classey and Gus Moeller had a falling out, and Pop Classey went out on his own (according to Ed [Classey, Jr.]). 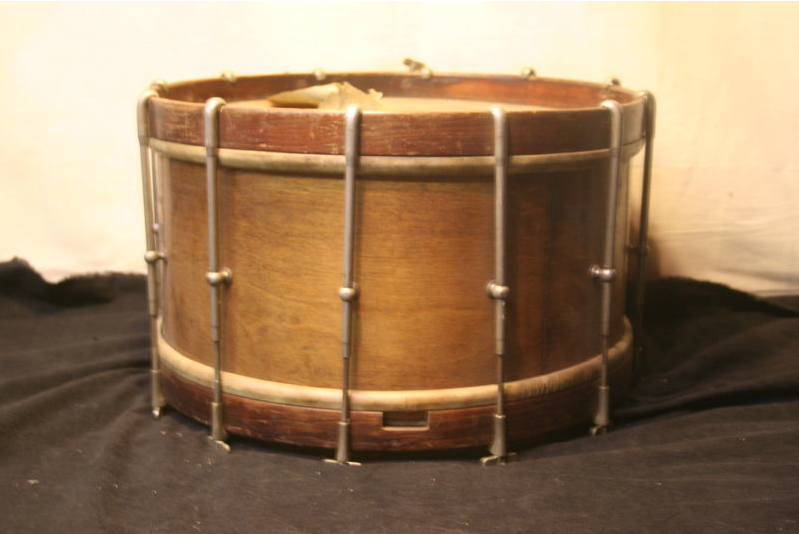 "The picture that was sent to us of this drum does shows what looks like a version of the Moeller strainer, although it looks a bit unpolished in the craftsmanship, and the shell looks generally like the old Mt Vernon drums made by Pop Classey and Gus Moeller, but not the same tack design. "I'm sure you know the story that all the old Moeller St Anselm drums were taken "to the dump" before anyone who knew enough to try to save them could do anything about it, but again, I only know that as a story. "I remember being told by Ed Classey[, Jr.] and Ed Olsen (and maybe Dave Boddie). 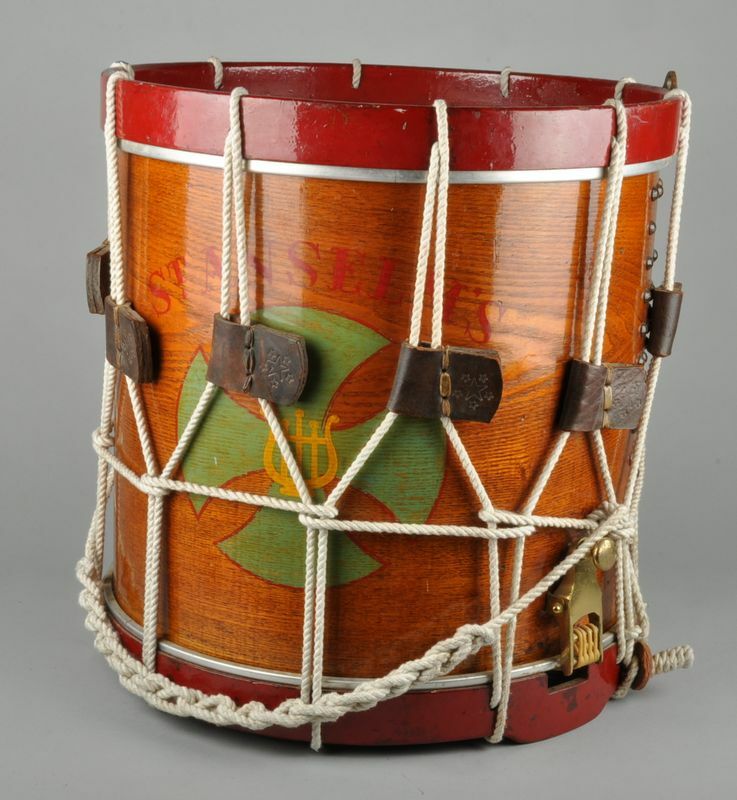 I don't recall ever seeing a label inside a Moeller drum - the information was handwritten on the inside of the shell, and many times there are no markings at all, just the stories that everyone knows that so-and-so had drums from Moeller." Edward C. Classey Sr. of Falls River Circle, Ivoryton, died Thursday at Hartford Hospital. He was 75. He was a self-employed carpenter in the area for many years. Most of his life he had been involved with fifing and drumming, belonging to the Ancient Mariners and the Sons of the Whiskey Rebellion. He was the owner of Ed Classey Drum Crafters in Ivoryton, and a member of the Company of Fifers. Ed Classey[, Jr.] moved to Connecticut to join the Mariners. 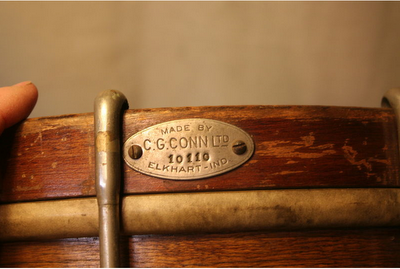 As a boy, Ed's father [Ed ("Pop") Classey, Sr.] worked with Gus Moeller making the famous Moeller drums. Ed was a pure, old-time drummer. He became the principal composer of the Mariner drum beatings as the corps repertoire took shape. He had a pure Moeller approach that he had learned while drumming with Moeller as a child. For the sound of St. Anselm's in 1955 (posted by George Carteris according to Bob Castillo, http://www.bobcastillo.org/) see http://youtu.be/zVJF3BqPxec and http://youtu.be/Pap3dQXSeqM (excellent stuff). This is St. Anselm's Drum Corps from the Bronx, NY playing "Old Comrades" and "Nulli Secundus" (Second to None) on bugle. The tape recording was made in the school gym sometime in 1955. The pictures are from the Company of Fifers & Drummers archives. Mostly they are photos from the late 1930's through 1941. The location or scene in many of the photos is Tinton Avenue in the South East Bronx. The drum corps existed from 1912 to about 1963. 1955 This recording is of St. Anselm's Drum Corps from the Bronx, NY. from the original reel-to-reel tape. George was told the tape recording was made in the school gym. Pierce Gardener gave George the tape in 1994 and he had it transferred to a cassette tape. This recording is of the fife line playing "2nd Connecticut" and "Pride of the Bronx". 1955 This is a SECOND recording is of St. Anselm's Drum Corps from the Bronx, NY. from the original reel-to-reel tape. George was told the tape recording was made in the school gym. Pierce Gardener gave George the tape in 1994 and he had it transferred to a cassette tape. This recording is of the fife line playing "Old Comrads"
In the late 1950s a new model fife, designed by renowned fifer John McDonagh was manufactured in Germany. This model was used by the three corp's affiliated with John McDonagh. The New York Regimentals, St. Benedict's and St. Anselm's; all located in the Bronx, New York. These fifes were not otherwise available to the public. A short time later a second generation McDonagh Model evolved and made by Roy Seaman, and quickly came into popularity. These fifes were mass produced for sale to the entire fife and drum community. 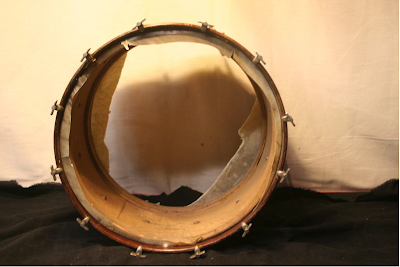 They were two-piece instruments with a dual conical bore - the foot joint tapered down from the joint to about an inch before terminus, where the bore cone reversed itself and opened up again slightly. They used the popular flute and piccolo designs of the 1830s, where "cone" flutes were the rage and most common. The cone flutes had fallen out of favor to the cylindrical flutes designed by Boehm. eBay seller droopydrawers( 3162) near Knoxville, TN, is offering item no. 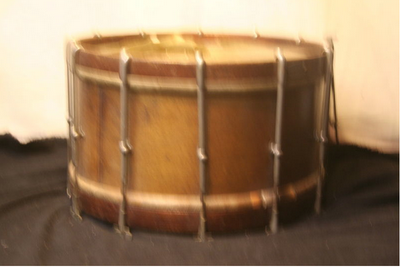 200686954454 with a BIN price of $285, described as follows: This is a Nice Conn Snare. 8 X 16" U.S. Marching snare. It is in Great condition, needs new heads,I cannot find any damage or extra holes. 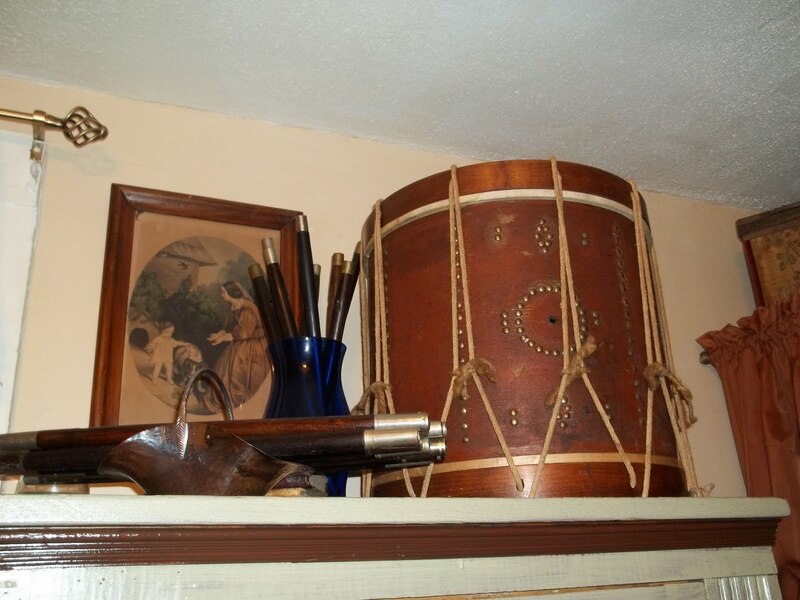 Please see attached photographs of an Abner Steven's 1810 field drum and drum sticks. 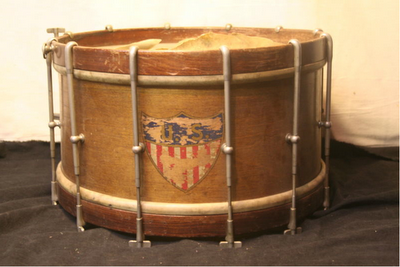 I don't know of another Stevens drum that is older. The overall condition of the drum is amazing for the age. 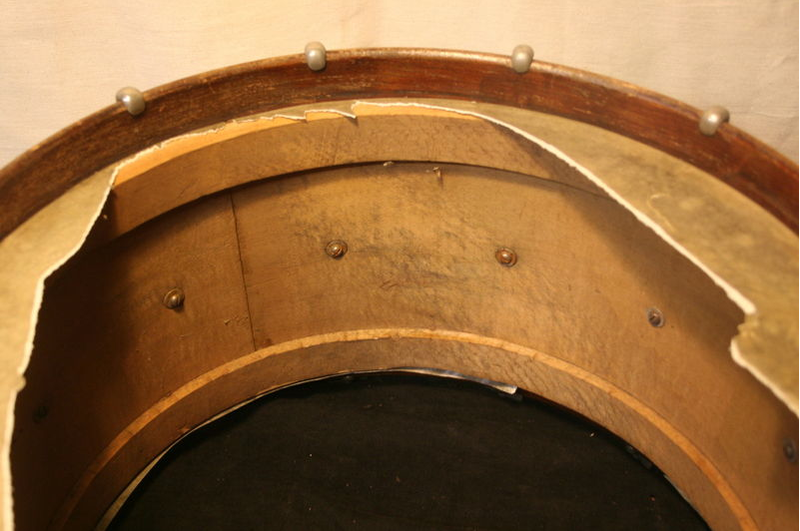 I am not certain that the counter hoops are original, but they fit the drum perfectly. 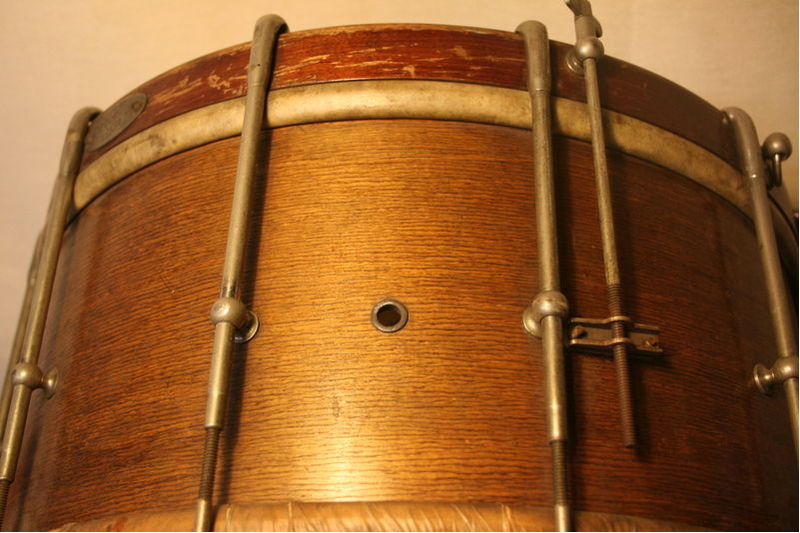 The bottom slunk head has a "Leedy" stamp and the rope looks to be hemp rope used by American drum makers in the 1930-40's. Drumsticks measure approximately 17" long, dark stained wood , long taper. The drumsticks are very old and appear to match the age of the drum.